CIT-II vs. U.P. Asbestos Ltd.
1. The present appeal has been filed by the Department under Section 260A of the Income-Tax Act, 1961 against the judgment and order dated 11.05.2007 passed by the Income Tax Appellate Tribunal, Lucknow in Appeal No. I.T.A. No. 38/Luc/2007, for the assessment year 2000-01. 2. On 18.05.2010, the Department has moved an application (M.A. No. 55321 of 2010), where a prayer was made by the Department to amend the memo of appeal, which was wrongly pasted, and the same is allowed. 3. The brief facts of the case are that the assessee is a public limited company engaged in the business of manufacturing of asbestos sheet and allied products. Original assessment was made on 07.01.2003, which was finally assailed before the Tribunal and the Tribunal vide its order dated 22.07.2005 has remanded the matter back to the Assessing Officer (AO) to examine the issue pertaining to allowability of the interest. The AO has reiterated its earlier order, which was affirmed by the first appellate authority, but the Tribunal vide its impugned order has allowed the interest under Section 36(1)(iii) of the Act. Being aggrieved, the department has filed the present appeal. 4. With this background, Sri D.D. Chopra, learned standing counsel for the Income-tax Department has justified the order passed by the AO. He submits that during the financial year 1999-2000, the assessee has completed expansion of its manufacturing plant and existing capacity of 36000 MT was increased to 108000 MT per annum. For this purpose, the assessee had borrowed loans from IDBI Bank and paid interest on the borrowings. He submits that this was a new unit and new business, so interest is not allowable under Section 36(1)(iii) of the Act. He submits that the assessee did not furnish bifurcation of the amount of the loans utilized in the building, plant and machinery. The AO worked out an investment in building, plant and machinery and calculated the loan in the ratio 1:3.5. Accordingly, a part of the investment was capitalized by the AO and interest paid thereupon was disallowed. The said interest is of Rs.31,92,676/-. The order of the AO was upheld by the first appellate authority, but the Tribunal has wrongly deleted. 5. Learned counsel further submits that the funds were utilized in fixed assets as the major part was utilized for the purpose of building. The funds were borrowed for the purpose of expansion project in the existing business i.e. the business of manufacturing of asbestos sheets. The assessee and the Bank failed to bifurcate the interest on the different loans taken by the assessee. The depreciation was already allowed on the fixed assets by the AO. The assessee has wrongly claimed the expansion as a revenue expenditure, as the same was capitalized expenditure. The assessee is entitled only for depreciation. Lastly, he justified the order passed by the AO. (v) Veecumsees v. CIT  220 ITR 185/86 Taxman 243 (SC). Lastly, he justified the impugned order. 7. After hearing learned counsel for the parties and on perusal of the record, it appears that various loans were borrowed for the expansion of the business and the same were fully utilized for that purpose. It is not a case of the revenue that the funds were utilized anywhere else. The new unit was established in the existing premises of the factory under the same management and finance control. Provided that any amount of the interest paid, in respect of capital borrowed for acquisition of an asset for extension of existing business or profession (whether capitalized in the books of account or not); for any period beginning from the date on which the capital was borrowed for acquisition of the asset till the date on which such asset was first put to use, shall not be allowed as deduction. 9. Needless to mention that the test to discriminate between a capital and a revenue expenditure is not straight. An item of expenditure tough incurred wholly and exclusively for the purpose of the business may nevertheless be inadmissible as an allowance if it is of a capital nature. The border line between a capital expenditure and a revenue expenditure is a blurred one. Different minds may come to different conclusions and may yet have valid reasons justifying each of the two view points. In the leading case of Atherton v. Brtish Insulated and Helsby Cables Ltd. 10 TC 155, it was held that if the expenditure is incurred for starting a new business which was not carried out by the assessee earlier, then such expenditure is held to be of capital nature. In that event it would be irrelevant as to whether project really materialized or not. However, if the expenditure incurred is in respect of the same business which is already carried on by the assessee, even if it is for the expansion of the business, namely, to start a new unit which is the same as earlier business and there is unity of control and a common fund, then such an expense is to be treated as business expenditure. In such a case whether new business/asset comes into existence or not would become a relevant factor. If there is no creation of new asset, then the expenditure incurred would be of revenue nature. 10. It may be mentioned that in the case of CIT v. Tarai Development Corpn. Ltd.  205 ITR 421/72 Taxman 153 (All), the Hon’ble Apex Court observed that when the assessee was setting up a new factory in the previous year and it was an extension of its existing business and money borrowed was for the purpose of carrying on the business and which could be spent by the assessee on any account, either capital or revenue. 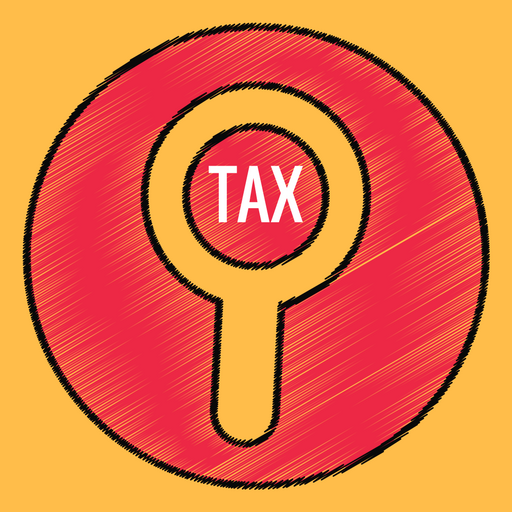 The aforesaid Section 36(1)(iii) provides that the amount of interest paid in respect of capital borrowed for the purpose of the business could be covered under Section 36 for deduction. 11. Similar views were expressed in the case of Indo Rama Synthetics Ltd. v. CIT  333 ITR 18/ 185 Taxman 277 (Delhi), where the earlier ratio laid down in the case of CIT v. Monnet Industries Ltd.  332 ITR 627/ 176 Taxman 81 (Delhi) was followed by observing that the interest borrowed on capital as business expenditure is allowable when the amount was borrowed for setting up a new plant. In that case, the assessee was already in the business of ferro alloys plant and it had set up sugar plant. Still, the interest paid on borrowed capital was treated as allowable expenditure by applying the test of common management and common funds, inasmuch as, there was a common board of director controlling the two plants, which operated from the head office located at New Delhi and funds of the two plants were common. On this basis, it was opined that there was intermingling and interlacing of funds. The fact that the two divisions are located at different sites did not affect the outcome since marketing of the final products of both divisions was carried out under the supervision and control of the same set of executives at the head office. 12. In the present case also, as already pointed out above, the main expenditure incurred was in the nature of salary, wages, repairs, maintenance, design and engineering fee, travelling and other expenses of administrative nature. Certain part of the expenditure was also made for the construction of additional shades, building to keep machines and products safely. But, no separate accounts were maintained. The loans did not have any nexus with the expenditure. It was common pool of funds. Indubitably, in the normal course, these expenses would be treated as revenue expenditure. The unit, which the appellant has set up had inextricable linkage with the existing business of the appellant. The proposed business was not an individual business but vertical expansion of the present business. Thus, the test of existing business with common administration and common fund is clearly met. Further, it is not a case of subsidy. It is a case of interest paid on the borrowed capital. 13. In the light of above discussion and by considering the totality of the facts and circumstances of the case, we consider that the borrowed funds were exclusively utilized for the purpose of expansion of the business, which resulted the enhancement of the production from 36000 MT to 108000 MT per annum. The interest paid on the loan borrowed from the IDBI will have to be treated as revenue in nature and accordingly, the same is allowable under the said provision. Hence, we are not inclined to interfere in the impugned order passed by the Tribunal. The same is hereby sustained along with the reasons mentioned therein. 14. In the result, the appeal filed by the appellant-revenue is hereby dismissed at the admission stage. This entry was posted in Sec. 36(1)(iii) and tagged 357 ITR, Allahabad High Court, In favour of Assessee, Interest paid on borrowed funds.